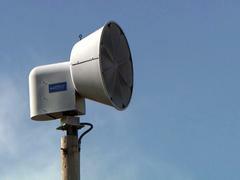 The annual testing of our Outdoor Tornado Sirens starts today thru Wednesday. Accidental activation may occur. Starting today through Wednesday, the annual testing of all our Outdoor Tornado Sirens posts are being conducted. During this period, accidental activation with our sirens may occur.